When you think of New Zealand, a few things immediately spring to mind: The Lord of the Rings trilogy, the fact they're pretty good at rugby, Sauvignon Blanc from Marlborough (our biggest selling white wine) and lots of sheep. But Aotearoa (meaning the land of the long white cloud), one of our closest neighbours, also packs plenty of surprises for the first time visitor. Yes people get us confused all the time when travelling overseas, but New Zealand is different to Australia. For one thing they prefer Marmite! On the North Island, the ties are much closer to Polynesia, while in the South Island you may think you're in Scotland (some locals roll their r's; and Kiwis say 'wee' a lot), while the scenery at times resembles Ireland (thanks to lashings of rain) or Canada in the Alpine regions. Of New Zealand's four million people, about 260,000 identify themselves as Polynesian, and most live in Auckland. I've never seen school children, either of Maori or Polynesian descent, with bigger calves than when I lived in Auckland. I nearly drowned after a group of Maori teenagers bombed my lap lane at the local pool. No wonder they're so good at rugby. Rugby is a way for Kiwis to come together, feel national pride and they are bloody good at it. It's a fundamental part of the country's national identity. Unfortunately the country's national psyche also waxes and wanes on the back of the All Blacks. Visit any café on a Monday morning after a loss, and you'll know what I mean. The mood can be downright depressing. Oh and they hate the Wallabies with a passion. You can set off for a bushwalk, (sorry tramp is the correct term for hiking in New Zealand), smug in the knowledge that there are no venomous snakes, no lethal spiders, and no crocodiles to get you as you wade across that river with your backpack over your head. How good is that bro? Kiwis almost faint when the temperature hits 30 degrees Celsius. New Zealand has a mild climate and plenty of rainfall – it's definitely four seasons in one day as the song by Crowded House goes. Summer doesn't officially arrive on the south island until at least Christmas. You will need to pack a jersey (jumper) even in January, along with your jandals (thongs). Best avoid beach resort areas in winter, they're practically deserted and it's pretty cold. Thanks to a total rebuild after a massive earthquake that levelled the city in 1931, Napier boasts an impressive collection of art deco buildings and is a UNESCO World Heritage site. Nowhere else in the Southern Hemisphere has such a concentration of buildings in the styles of the 1930s - Stripped Classical, Spanish Mission and especially Art Deco. The city celebrates its heritage on the third weekend each February when the town turns back the clock and dresses in its deco finest. Nearby is the famous Hawkes Bay Wine region. Kiwis claim Tip Top ice cream is the best in the southern hemisphere, and hokey pokey (it's a flavour) is far and away the biggest seller (five million litres annually). They're also partial to chocolate-coated marshmallow fish and pineapple lumps. You can usually buy these treats at the local dairy (milkbar). Kiwis are just as obsessed with coffee as we are and will debate the merits of various cafes ad nauseam. A Kiwi from Invercargill apparently invented instant coffee (OK they can take the credit for that one), and they also claim to have devised the world's first flat white (Australia argues it did). Either way, you can get great coffee here – though country areas are still hit and miss, just like Australia. Order a trim for skim or skinny, and you'll be sweet as. They'll stop for a chat, help you with directions, give you the finger (in greeting that is) as you drive by and tell you about their cousin living in Strathfield. They also want to know why you're visiting New Zealand, where you're going and how long you're staying. Complete strangers will even feed lunch to your child playing with their kids on the beach. True story. The indigenous Māori people are prominent in society and in government and Maori is an official language of New Zealand. Traditional Māori customs still play a big part in the lives of many modern Māori in New Zealand and are an intrinsic part of Kiwi culture. Your car will practically pull over to the side of the road of its own accord – at regular intervals. Snow capped mountains, stunning lakes, green rolling hills dotted with sheep (yes there's lots of them). Driving anywhere takes twice as long on account of the awesome vistas out the window. A coveted oyster from the deep south of NZ, they are only in season a couple of months a year. Be sure and get some. They'll change your life. More people live in Auckland than the entire population of the South Island, which goes someway to explaining the city's horrendous traffic problems. And one third of Aucklanders own a boat, hence the City of Sails tag. Described as a "religion" by the famous Kiwi novelist Keri Hulme, the pursuit of whitebait has long been an iconic part of New Zealand life and culture. During whitebaiting season, visitors and locals alike flock with nets and buckets to the region's rivers in the hope of catching some 'white gold'. Be sure to read up on the strict rules and regulations before trying your luck. And not just because of the unscheduled photographic stops. Although Auckland to Otama Beach doesn't look very far on the map, New Zealand roads can be windy, narrow and cover hilly terrain. There are also heaps of one-way bridges. Allow extra time and be realistic. See also: Epic NZ road trip: Are we there yet? Also speaking of driving, Kiwi roads have a backward arrow marked in the opposite direction to which you are travelling. Don't panic, you are in fact going the right way. In a survey of 44 cities, Auckland was ranked as most expensive when buying items such as a cup of coffee, a bottle of beer, a glass of wine, sunscreen and a three-course meal for two. Eating out is pricey, and you won't find a plethora of cheap and cheerful Asian eateries. The upside is Auckland is ranked as the third-best lifestyle city in the world, according to the Mercer Global Lifestyle Index. If you're counting your pennies travel like the locals do and book a bach (holiday house) or crib (as they're known on the South Island). Every man and his dog will be at a bach over summer (when prices are highest), but throughout the rest of the year you can nab a bargain and experience a slice of Kiwiana at the same time. See bookabach or bachstay. This makes Whakapapa, a ski field, and Whakatane, interesting to pronounce. The vast majority of place names are indigenous such as Onehunga, Whangamomona, Kahikatea, Waitangi, Nguru and Whangarei (pronounced Fangarei). When I lived in New Zealand, many of my relatives and friends said they'd visit Aotearoa (featured in another Crowded House song) when they retired! 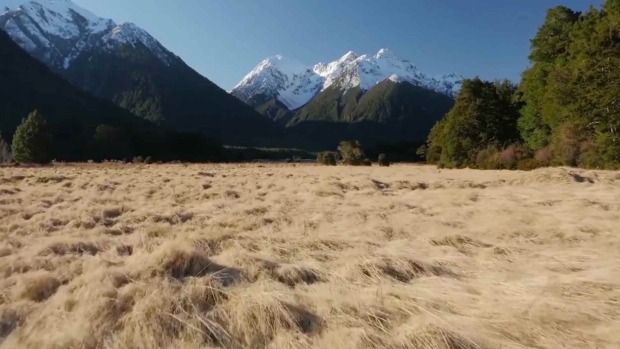 Tourism New Zealand's 100% Pure New Zealand campaign has helped shift that mindset. 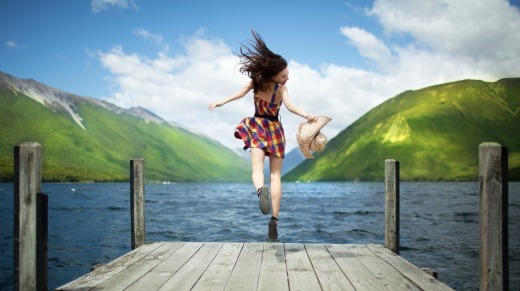 The Australian Bureau of Statistics shows New Zealand is the number one destination for Australian travellers heading overseas, but still many put off going. Don't. The people are welcoming, it's staggeringly beautiful, has a unique Maori heritage and culture, incredible food and wine and it's only three hours tops across the ditch. Seriously, it's choice bro.